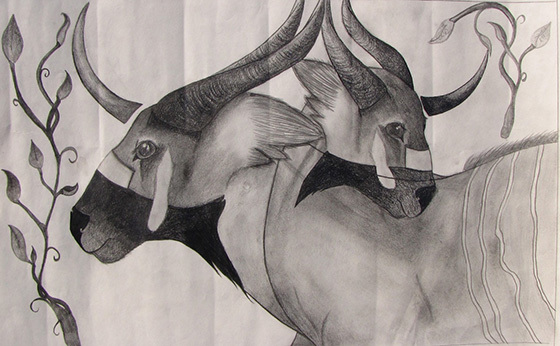 Sayonara Saola by Michaela Westmoreland. All Rights Reserved. The Saola is often called the ‘Asian Unicorn’. Therefore, I decided to give the animal a third ‘imaginary’ horn not connected to its head. This signifies the rareness of the animal that is rarely seen in its natural habitat that seems to be fading away like a unicorn.